A peanut allergy is a serious medical condition. A person with a peanut allergy has much more to worry about than a stuffy nose or a few itchy hives. When a person with a peanut allergy eats peanuts, it can result in anaphylaxis, a severe type of allergic reaction that requires immediate medical attention and can be life-threatening. Allergic reactions to food send tens of thousands of Americans to the hospital each year. Every three minutes, in the United States, an allergic reaction to food sends someone to the emergency room. Half of those reactions are potentially life-threatening. The number of children with all types of food allergies, including peanut allergies, has increased sharply over the past two decades. A U.S. Centers for Disease Control report released in May 2013 found that the number of U.S. children with food allergies increased from 3.4% to 5.1% between 1997 and 2011. More recent studies show that 8 percent of U.S. children now have a food allergy. The rate of peanut allergies among children has been rising particularly quickly. According to a study published in the Journal of Allergy and Clinical Immunology, the number of children with a peanut allergy in particular tripled between 1997 and 2008. 1 out of every 13 children in the United States now has a food allergy. One quarter of American children with food allergies are allergic to peanuts. Only about 20% of children with a peanut allergy will outgrow it. The remaining 80% will be allergic for life unless we discover a cure. Although it is common for children to outgrow certain other food allergies– for example, more than three quarters of children with a dairy allergy will outgrow it by the time they reach adulthood– peanut allergies, once developed, tend to stick around for life. It is possible to develop a food allergy at any age. Even though most food allergies begin at some point in childhood, anyone can develop a food allergy at any age. A person can develop a life-threatening allergy to a food they have eaten safely many times in the past. Less than 1/100th of one peanut can cause an allergic reaction. A 2003 study published in the Journal of the British Society for Allergy and Clinical Immunology showed that eating as little as 5 milligrams of peanut — that’s equivalent to less than 1/100th of one average peanut — can cause allergic symptoms in a person with a severe peanut allergy. Some people with peanut allergies react to skin contact with peanut residue. People with severe peanut allergies may develop hives or a rash from just touching peanuts or peanut butter. Even a trace amount of peanut residue can cause such a reaction in highly sensitive people. Some people with peanut allergies have experienced an airborne allergic reaction– a reaction to the presence of allergenic peanut proteins in the air. You may have heard that a scientific study showed that the scent of peanuts alone will not cause a severe allergic reaction in a majority of people with a peanut allergy. This is actually true. A small, highly controlled study in 2003 showed that a group of children with peanut allergies did not react from simply inhaling the aroma from a small amount of peanut butter. However, multiple well-documented real-life cases of airborne reactions to peanuts reveal that this study’s results do not paint the whole picture. The scent of peanuts or peanut butter alone will not cause a reaction in most peanut allergic people, because the aroma of peanuts does not contain allergenic proteins. 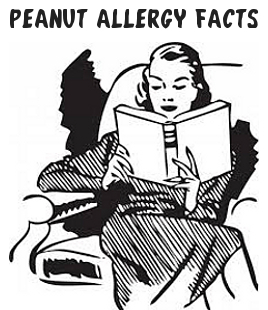 But peanut dust in the air can and does cause airborne allergic reactions. Whenever peanuts are shelled, ground, smashed or heated, tiny particles of dust containing allergenic peanut protein enter the air. If a person with a severe peanut allergy breathes in enough of these airborne allergenic peanut particles, that person can suffer an allergic reaction. Rarely, airborne reactions can be life-threatening. Anaphylaxis is a life-threatening, systemic allergic reaction that should be considered an immediate medical emergency. Common signs of anaphylaxis include hives, a rash, swelling of the lips, throat or tongue, stomach upset, vomiting, dizziness, faintness, coughing, wheezing, or difficulty breathing. If left untreated, anaphylaxis can sometimes cause serious damage to vital organs, brain damage, or heart failure. Learn more about how to recognize and treat anaphylaxis here. Between 150-200 people in the U.S. are known to die from anaphylactic allergic reactions to food each year. More of those people die from reactions to peanuts than any other food. The Asthma and Allergy Foundation of America estimates that in the U.S. about 200 people with food allergies are known to die every year from anaphylaxis. However, the true number may actually be higher, because deaths from anaphylaxis are difficult to track. Not every death from an anaphylactic reaction to food is officially recorded as a food allergy death. Because anaphylaxis affects multiple organ systems, it can result in multiple causes of death including respiratory failure, heart failure and brain death, and those are sometimes recorded on a death certificate instead of anaphylaxis. Peanuts are the most common cause of fatal anaphylaxis from food. These are some stories of children with food allergies who have died from anaphylaxis, collected by the No Nuts Moms allergy support group. Epinephrine is the correct first-line treatment for anaphylaxis. Antihistamines like Benadryl are not considered sufficient treatment for anaphylaxis. The American College of Allergy, Asthma and Immunology, the American Academy of Allergy, Asthma and Immunology, and Food Allergy Research and Education all agree: the medicine that should be used to treat anaphylaxis is epinephrine–not an over-the-counter antihistamine like diphenhydramine (otherwise known as Benadryl). Antihistamines may ease certain mild allergic symptoms, but by themselves, they will not stop anaphylaxis from progressing. Only epinephrine can do that. Epinephrine autoinjectors like the EpiPen and Auvi-Q are safe and easy to use. So safe and easy a child can learn to use them. Really. If you don’t know how to use an EpiPen, the most commonly available epinephrine autoinjector, these kids can teach you. The Auvi-Q, another commonly available epinephrine autoinjector, actually talks to you and tells you how to use it. Less than half of emergency medical technicians (EMTs) in a recent survey correctly answered that epinephrine is considered the first-line treatment for anaphylaxis. Less than 40% say they carry epinephrine auto-injectors in their ambulances. In a 2012 study, out of 3500 paramedics surveyed, less than half– 46.2%– correctly identified epinephrine as the first line of treatment for anaphylaxis. Another 40% mistakenly thought diphenhydramine (aka Benadryl) was the appropriate first-line treatment for a life-threatening allergic reaction. Only 39.5% said they carry epinephrine autoinjectors in their emergency vehicles. A person with a life-threatening allergy cannot rely on emergency medical staff to provide appropriate, timely treatment in the event of anaphylaxis. It is essential that people with life-threatening food allergies learn how to use epinephrine auto-injector themselves, if they are old enough and physically capable enough to do so. Parents, caregivers and teachers of children with life-threatening food allergies should also be trained on the proper use of epinephrine autoinjectors and should not rely on emergency medical personnel to administer epinephrine to a child instead. The U.S. Food and Drug Administration does not require companies to put warning labels on all foods that may contain peanuts. Under the Food Allergen Labeling and Consumer Protection Act (FALCPA), the FDA does require that companies list the top 8 food allergens– that is peanuts, tree nuts, milk, eggs, wheat, fish, shellfish and soy– on ingredient labels in plain language if those foods are intentional ingredients. However, the law does not require that companies apply warning labels to foods that may contain common food allergens as an accidental ingredient. For example, under current food labeling laws, a manufacturer of ice cream would not be required to inform customers that its chocolate flavored ice cream is made on the same factory equipment as its peanut butter flavored ice cream, and therefore may contain traces of peanuts. Allergen advisory labels such as MAY CONTAIN PEANUTS or MANUFACTURED ON SHARED EQUIPMENT WITH PEANUTS are entirely voluntary in the United States and are not regulated by the U.S. government. Because labels like this are voluntary, not required, it is not safe to assume that the lack of a warning label means a food is entirely peanut-free. There are no official rules for food companies to follow when it comes to choosing whether to label a food as MAY CONTAIN PEANUTS, MAY CONTAIN TRACES OF PEANUTS, MADE ON SHARED EQUIPMENT WITH PEANUTS or MADE IN A SHARED FACILITY WITH PEANUTS. A food that is labeled MADE IN A SHARED FACILITY WITH PEANUTS might be made in an entirely separate room from peanut products, or might be made directly on shared equipment with peanuts. Studies have shown that up to 10% of foods with voluntary allergen advisory labels for peanut contain detectable peanut residue. A 2007 study published in the Journal of Allergy and Clinical Immunology found detectable levels of peanut residue in 10% of foods labeled with a MAY CONTAIN, SHARED EQUIPMENT or SHARED FACILITY warning for peanuts. A similar study conducted in 2010 found detectable peanut protein in 4.5% of tested foods with such labels. Many foods in the U.S. are not regulated by the FDA and are therefore not subject to FDA labeling rules. The FDA does not regulate the labeling of all foods in the United States. The U.S. Department of Agriculture regulates the labeling of many foods including fresh meat, dairy and egg products. Though the USDA requires the food producers under their jurisdiction to list all ingredients, they are not subject to the same allergen labeling rules as FDA-regulated foods, and the differences in labeling requirements can be confusing. Peanuts are not the same thing as tree nuts. In fact, peanuts are not actually nuts at all. Despite their nutty name, scientifically speaking, peanuts are not from the same plant family as common tree nuts, like almonds or walnuts. Instead, peanuts belong to the legume family– the same family as beans, peas and soy. A person with a “nut allergy” might be allergic to peanuts but not allergic to tree nuts, allergic to tree nuts but not allergic to peanuts, or allergic to both peanuts and tree nuts. According to the FDA allergen labeling guidelines, peanuts and tree nuts should be listed as separate allergens on food ingredient labels, but food companies do not always make a clear distinction between the two. A person with a peanut allergy might need to avoid tree nuts anyway. Many people who are allergic to peanuts but not tree nuts avoid eating tree nuts anyway due to the substantial risk that packaged tree nuts will contain peanut fragments or peanut residue from being packaged on the same equipment as peanuts. Some people with a peanut allergy do choose to eat tree nuts, but allergists generally advise that a person with a peanut allergy take care to eat only tree nuts that come from a peanut-free facility. Also, having any one food allergy increases the chances of developing a second food allergy, and consequently, about 30% – 50% of people with a peanut allergy have an allergy to tree nuts as well. Label claims like PEANUT-FREE and NUT-FREE are not strictly regulated. When a food package says a food is peanut-free or nut-free, that means nuts were not included as an intentional ingredient. Unfortunately, it does not necessarily mean that the food was prepared in a peanut-free or nut-free facility, or that the food has been tested for the presence of allergenic peanut residue. The FDA does not currently require that companies that label their foods as peanut-free or tree-nut-free produce those foods in a peanut-free or tree-nut-free facility, or prove through testing that a food is nut-free. Right now, in fact, it is perfectly legal in the U.S. to print NUT-FREE on the front of a label and MADE ON SHARED EQUIPMENT WITH PEANUTS on the back. People with peanut allergies who wish to strictly avoid cross-contamination should not only read all parts of the label on every package of food, but also research different food manufacturers’ labeling policies, as these can vary greatly between companies. Life-threatening food allergies have been recognized as a protected disability under the Americans with Disabilities Act (ADA), Section 504 of the Rehabilitation Act, and the Individuals with Disabilities Education Act (IDEA). Life-threatening food allergies have been recognized as a disability according to American law. A person with a life-threatening food allergy is entitled to the same right to accommodations at work or at school as a person with any other legally recognized disability under the ADA, Section 504 and IDEA. Public schools in the U.S. are legally required to provide children with life-threatening food allergies with a free and fair public education under the Individuals with Disabilities Education Act and Section 504. Many private schools in the U.S. are also required to provide children with food allergies with reasonable accommodations under the Americans with Disabilities Act and Section 504. Private schools that receive public funding– through government grants, for example– are subject to Section 504. The Americans with Disabilities Act also applies to many private schools. Schools subject to these laws must make reasonable accommodations for children with food allergies. 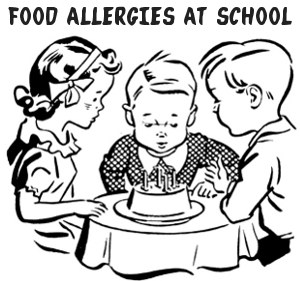 18% of children with a food allergy have already had at least one severe allergic reaction to food while at school. For a child with a life-threatening food allergy, school can be a dangerous place. That is why the CDC now recommends that all schools in the United States develop a food allergy management plan in accordance with the CDC’s Food Allergy Management Guidelines. More than one third of school-aged children with food allergies report being bullied for having a food allergy. Most bullying of children with food allergies happens at school. Sometimes the bullies are teachers. A recent survey found that 35% of school-aged children with food allergies say they have been bullied for having a food allergy. 82% of those who were bullied reported being bullied at school. 57% of those who were bullied reported that the bully threatened or touched them with food they were allergic to. And it’s not just students doing the bullying: 21% of the children who were bullied reported that teachers or school staff bullied them about their food allergy. There is no known cure for food allergies. Several promising food allergy treatments are currently under investigation. Oral immunotherapy, sublingual immunotherapy, and a Chinese herbal treatment called FAHF-2 are all potential food allergy treatments currently being tested for safety and effectiveness in clinical trials. All are still considered experimental. None of them has been approved by the U.S. FDA for general use, and none of them has yet been proven to be a permanent cure for food allergies. Oral immunotherapy is an experimental treatment for food allergies, including peanut allergy, that is not yet approved by the FDA. Recently, scientists and doctors have been testing a new treatment for food allergies called oral immunotherapy. Oral immunotherapy is a desensitization process designed to increase the amount of food a food allergic person can tolerate being exposed to before having a reaction. During oral immunotherapy, patients are repeatedly exposed to very small, precisely measured amounts of their allergen in a clinically controlled setting. Although studies so far have shown that OIT treatment is initially effective in 70 – 80% of patients, that means that 20 – 30% of those who undergo OIT fail to gain tolerance. And because OIT has been available for less than a decade, no studies have yet shown how long the beneficial effects of OIT may or may not last over the course of a person’s lifetime. Oral immunotherapy is a treatment for food allergies. 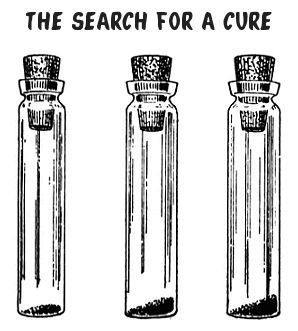 It is not a cure. Despite sloppy newspaper headline claims to the contrary, according to most food allergy experts, oral immunotherapy is not currently considered to be a cure for food allergies: it is a treatment that helps alleviate symptoms. Successful treatment with OIT significantly lowers the risk that a food allergic person will suffer an allergic reaction from consuming allergenic food. OIT does not make the threat of an allergic reaction to food entirely disappear. Doctors who offer oral immunotherapy advise patients to commit to treatment for the rest of their lives. Currently, undergoing OIT involves making a life-long commitment to following a daily treatment plan. Patients who successfully complete the initial phase of OIT are advised to remain under the supervision of an allergist and to continue to take a daily maintenance dose for the rest of their lives. Every OIT patient is still considered to be at some level of risk for a life-threatening allergic reaction to food. Responsible doctors advise their OIT patients to continue carrying life-saving epinephrine at all times even after completing the initial treatment phase. Oral immunotherapy is not yet widely available. Because oral immunotherapy is still being studied for safety and effectiveness, it is not currently approved by the FDA, and is not yet widely available outside of clinical trials. Though there are a very limited number of allergists offering OIT in a private practice setting, many patients find that they must travel hundreds of miles to access OIT, and because it is an experimental treatment, OIT is often not covered by medical insurance. 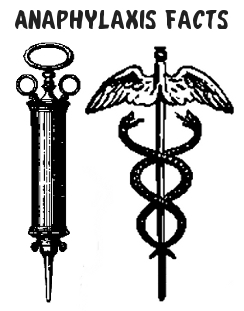 A full course of treatment can cost several thousand to tens of thousands of dollars. Oral immunotherapy should not be attempted without the direct supervision of a board-certified allergist. Because the treatment involves exposing a food allergic person to his or her allergen, it can cause multiple adverse serious side effects including life-threatening allergic reactions. Therefore it is not safe to attempt OIT in a home setting without the guidance of a board-certified allergist. Really. Please do not do try OIT without proper medical supervision. Do not advise your friends or family members to try OIT without a doctor’s supervision, either. 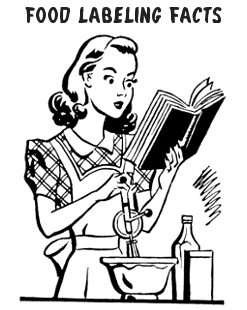 This page features vintage clip art from The Graphics Fairy, Free Design File, and Clip Art ETC.